No. 1/1 University of Florida (34-2, 13-0 SEC) defeated the No. 4/5 University of Alabama (26-6, 6-4 SEC) in Saturday’s doubleheader, 9-1 and 10-1, in front of a record-breaking crowd of 2,423. The Gators’ solid pitching and multiple two-out rallies were the difference in the games as UF earned its largest margins of victories over the Crimson Tide in program history. Florida was led by sophomore Aja Paculba, who went 5-for-6 with a home run, a double and four runs scored. 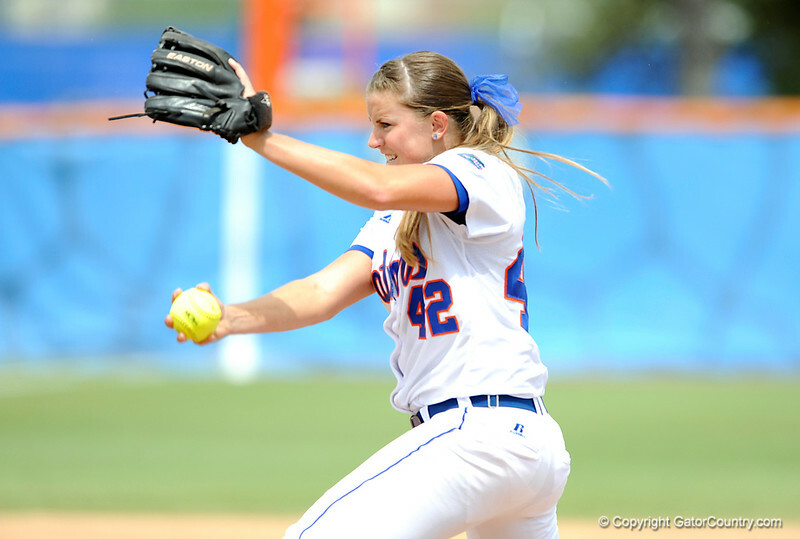 Every starting Gator earned a hit in the two games as the team racked up 20 hits on the day. The previous attendance record of 2,388 was set on opening day in 1997, the program’s inaugural year. The first game started as a pitchers’ duel but turned into a 12-hit, 9-1 blowout by the Gators, who handed Alabama starting pitcher Kelsi Dunne (12-1) her first loss of the season. Senior Stacey Nelson finished the game giving up only one run on four hits and two walks while striking out seven. Gator starting pitcher sophomore Stephanie Bombracher held the Tide to one run in the second game to earn her 16th victory of the season. The righty improves to 16-0 on the season and 36-0 in her career.